UPDATED: Sun., Aug. 19, 2018, 9:29 p.m.
Montana Gov. 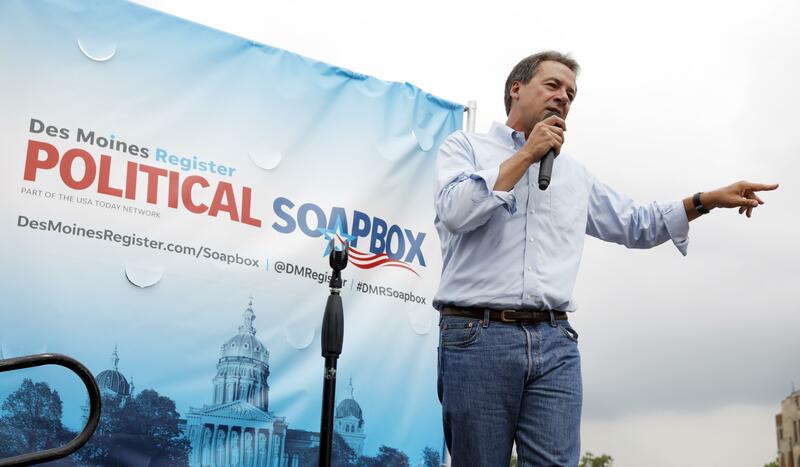 Steve Bullock said Sunday that he supports an assault weapons ban, in a signal that the moderate Democrat is seeking to appeal to progressives as he tests the waters of a potential 2020 White House bid. “You know, I would, Jake,” Bullock said when asked by CNN’s Jake Tapper during an appearance on “State of the Union” on Sunday whether he would now embrace calls from some Democrats for such a ban. Bullock visited the Iowa State Fair last week and is gearing up for a visit to New Hampshire this week. Both early-voting states are key stops for candidates considering a possible White House bid. Bullock has typically touted his moderate bona fides, including the fact that he was re-elected in 2016 by four percentage points in a state that Donald Trump won by 21 points. Bullock was also recently elected chairman of the National Governors Association, a position that could help him further make the case that he is a bipartisan pragmatist. Yet his declaration of support for an assault weapons ban is a sign that he also is attuned to calls among the Democratic base for a more liberal candidate to challenge Trump in 2020. In a May op-ed in the Great Falls Tribune, Bullock said he supports universal background checks and called for tighter limits on high-capacity magazines – a shift from his position on gun rights two years earlier. Bullock declined to say Sunday whether he thinks he could beat Trump in a hypothetical 2020 matchup. “Right now, really, what I’m doing is, I have been listening. I have been traveling the country quite a bit, listening probably more than I have been talking. I have shared what we have done in Montana. But, for now, that’s as far as it goes,” he said. Published: Aug. 19, 2018, 5:19 p.m. Updated: Aug. 19, 2018, 9:29 p.m.